? 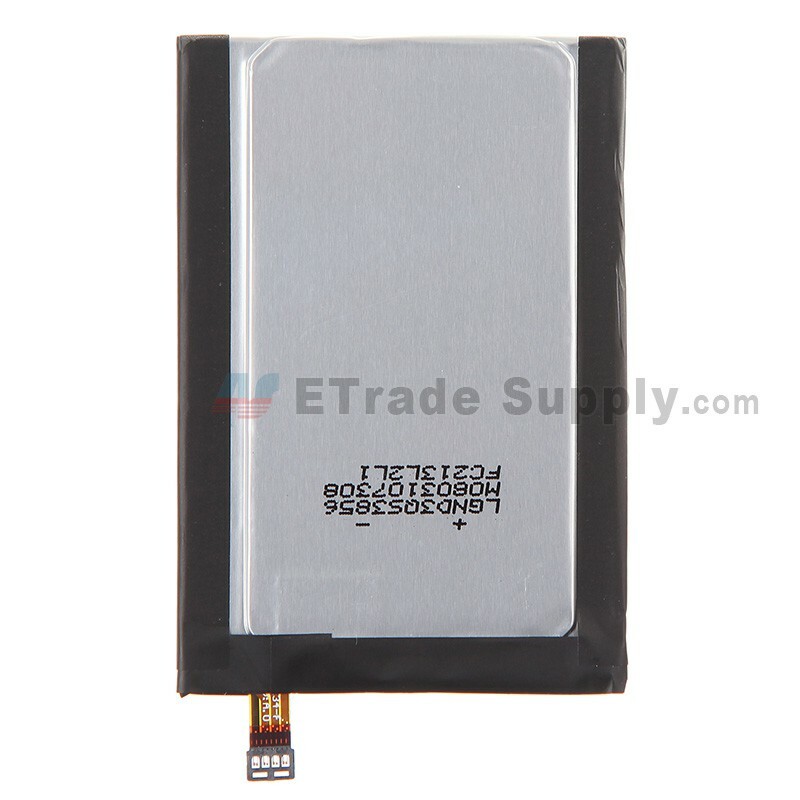 The Motorola Moto X Battery is non-removable, special tooling is required for disassembly or reassembly work.
? 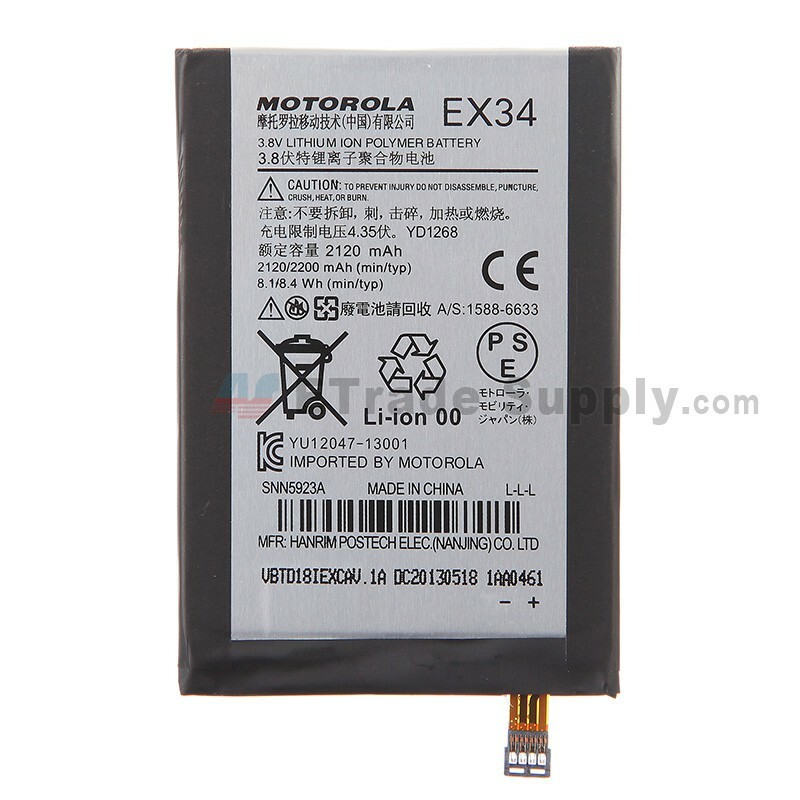 This Motorola Moto X Battery is brand new but not original. 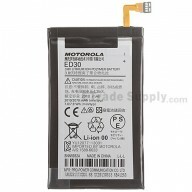 Please do not confuse it with the brand new original Moto X battery.
? 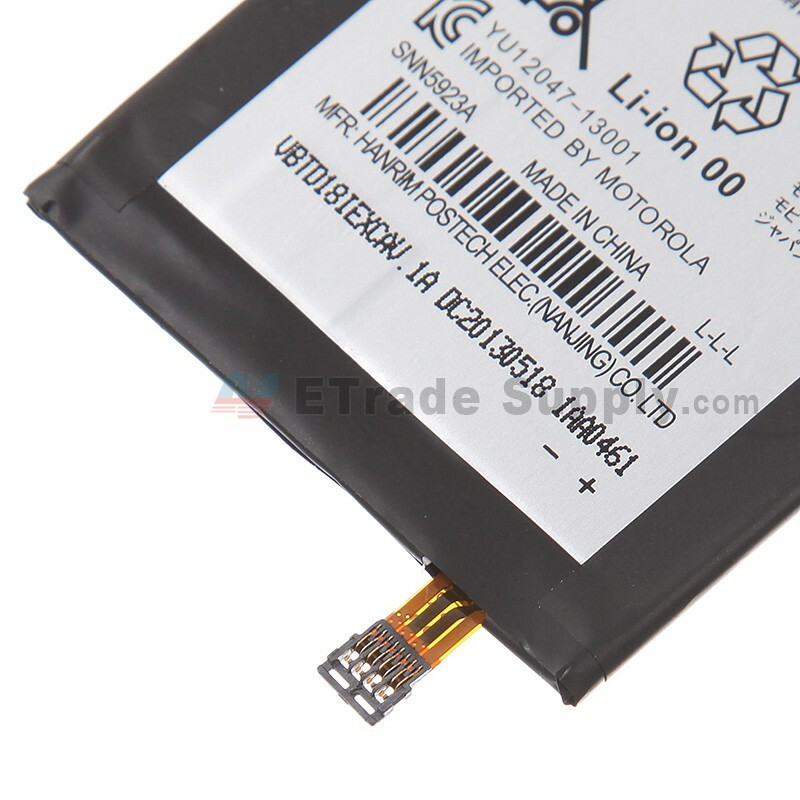 This Motorola Moto X Battery replacement will NOT be shipped with the disassembly tools.
? 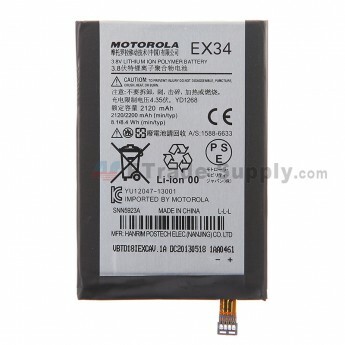 The EX34 battery is compatible with Motorola Moto X AT&T and Verizon versions.
? Keep the batteries out of direct heat. 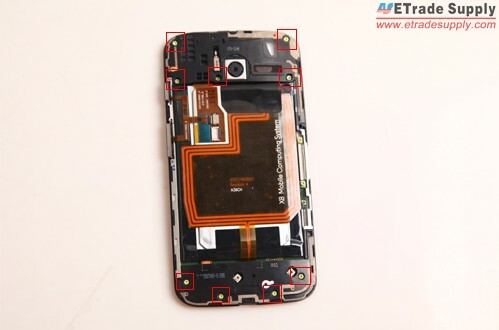 Step 1 Power the Moto X off and use eject pin to take out the SIM card tray. Step 2 Use the case opening tool to release clips holding the battery door in place, and then carefully open it since there is a flex cable connecting the battery door and motherboard, and adhesive on the battery door, which takes time to separate it. 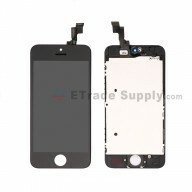 Then use case opening tool to disconnect the connector on the motherboard to remove the battery door. Step 3 Use screwdriver to undo the 9 screws on the top and bottom of the motherboard. Step 4 Remove the bottom cover on the motherboard. Step 5 Remove the headphone jack with loud speaker on the top. Step 6 Use Spudger to remove the side keys flex cable. 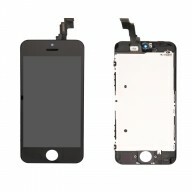 Step 7 Remove the front facing camera. Step 8 Undo 2 screws to remove the metal shield used to fasten the motherboard. Step 9 Disconnect 4 connectors and use Spudger to separate the battery with motherboard from the LCD assembly carefully since there is a connector to the LCD assembly. Then disconnect the connector. 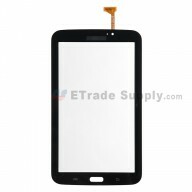 Step 10 After the battery with motherboard is free, take out the rear facing camera on the motherboard. Step 11 Separate the battery and motherboard carefully since there is an adhesive in between.